Houston is a diverse city with a great climate, a booming job market, a surprisingly affordable housing market, and thriving arts and sports communities. Though it is already the fourth most populous city in the U.S., its attractions are drawing thousands more every month. We are excited to offer self-storage units to all new residents at any of our convenient storage centers in the Houston Metro area. One of the major reasons so many are relocating to Houston is that the job market is phenomenal. New jobs offered in Houston in recent years are at over 300% compared with the rest of the U.S. It helps that there is no income tax or zoning laws, two big benefits to business that have contributed to the growth in this area. Houston’s affordable housing market is another fantastic reason to move to the area. The average home value is $150,000, which keeps the housing costs to income ratio very low. Unlike with the homes in other major cities, high real estate costs are not nearly as much of an obstacle, even in prime locations. Speaking of locations, Houston also has a freeway that loops around the center part of the metro. This helps with traffic and makes for a very convenient way of letting someone know where in the city to look for something. Is it inside or outside “The Loop”? The housing costs are known to be even more affordable outside The Loop. The Food: While Tex-Mex can certainly hold its own when it comes to mouth-watering cuisines, Houston is also known for a wide variety of delicious foods and fine restaurants. From exquisite meals for the oil tycoons to amazing food truck finds throughout the metro, Houston has it all. The Arts: It won’t come as any surprise to hear that Houston has some oil money. A great deal of it is graciously funnelled by wealthy donors into a thriving arts culture. The city offers a nice balance between established museums and artistic institutions and newer, cutting-edge galleries and studios, many of which are found in the city’s arts district on Washington Avenue. 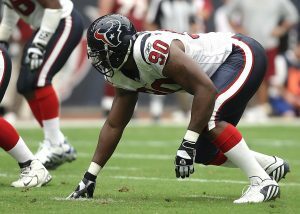 The Sports: Houston is home to six professional sports teams, including the Texans (NFL), the Astros (MLB), the Dash (NWSL), the Dynamo (MLS), the Rockets (NBA), and the Scrap Yard Dawgs (NPF). Additionally, the annual Houston Livestock Show and Rodeo is the largest in the world and is itself a boon to the area’s economy every year. There’s no forgetting that Houston is in Texas. 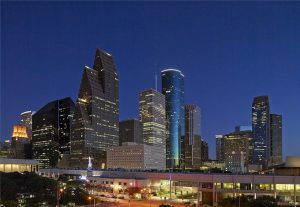 The Sights: Houston boasts so many wonderful places to visit. As home to NASA, the city is also home to the incredible Space Center, which is world famous. There is, among many other places, the Museum of Natural Science, the Houston Zoo, and an historic downtown to explore. And, because in Texas even the shopping is bigger, the Galleria is a landmark all by itself. Month-to-month storage rooms for rent make it so you can unpack at your convenience, rather than all at once upon arrival. Boat and RV storage give you space for your recreational vehicles. State of the art security systems offer peace of mind (even during a move!). And, 365 day automated access means you can take things day by day, moving in on a schedule that makes sense for you and your family. 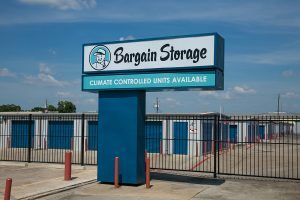 Come see us or give us a call at any of our Houston storage centers – North Houston Bargain Storage, Spring Bargain Storage, Memorial Bargain Storage or Pasadena Bargain Storage. We look forward to welcoming you to The Lone Star State.